Dr. Toka Mustafa (right) introduces speaker Luke Mellor, January 25, 2019. Pantonium’s Luke Mellor gave a talk at University of Toronto on Friday, January 25, 2019. The UT-ITE Friday Seminar was co-sponsored by iCity-CATTS. After an introduction by Dr. Toka Mustafa of iCity-CATTS, Luke presented information about new Pantonium on-demand operational model software for night bus service currently in use in the City of Belleville. On January 14, Belleville City Council voted to make Belleville Transit’s late-night Route 11 bus service pilot a permanent part of transit operations. According to Quinte News, the city allocated $220,000 and made two new vehicle operator positions. This is a culmination of a a transit experiment that started five months ago. The pilot began in 2018 as a night time service operating between 9:00 p.m. -12:30 a.m. where transit riders have access to a rider portal, allowing them to book bus trips on-demand or in advance from any device that has internet connection. Belleville buses no longer stayed on fixed routes during that time period but instead travelled between bus stops based on rider demand. Luke Mellor presentation, January 25, 2019. So far the new service has seen ridership growth of 300%, over 2400 people have signed up and made accounts in the new app with a further 1033 anonymous accounts made. The Belleville council congratulated transit manager Paul Buck for the ongoing success of the pilot, and comments highlighted how the on-demand service has made it easier for workers and students to get around the entire city of Belleville during the late night. The on-time percentage of the service has been 94%. 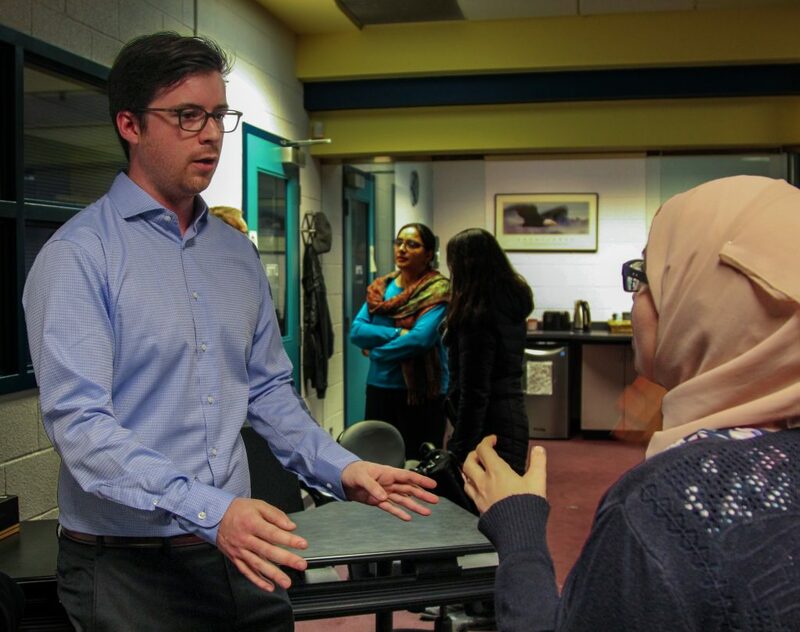 Luke Mellor responds to audience questions after his talk, January 25, 2019. The only challenge faced during the pilot has been that the growth in demand was too great, as in November 2018, the service was struggling with buses that were filled to capacity. Pantonium and Belleville Transit are partnering with universities and research institutions to use the data generated by the service to discover the impacts on ridership, car usage and social mobility. Luke Mellor responds to audience question, January 25, 2019. 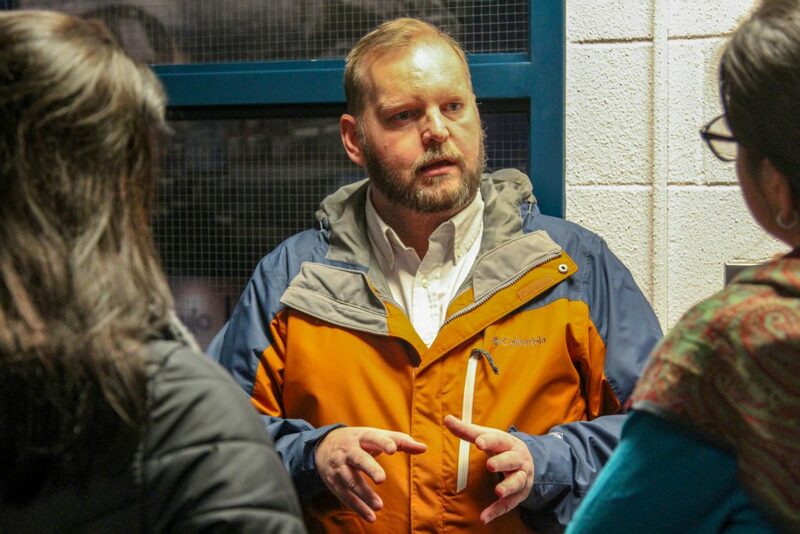 Paul Buck (centre) of Belleville Transit attended the talk with a co-worker (left), and was happy to provide some additional details about Belleville Transit’s experience after Luke Mellor’s talk, January 25, 2019. In September 2018 Pantonium’s on-demand transit software was deployed in Belleville, Ontario. Pantonium believes that this deployment represents a leap forward in transit operations and optimization technology. The technology is changing public transit by using mobile applications and autonomous intelligent routing algorithms to turn a traditional fixed route transit service into one that responds and allocates vehicles according to rider demand in real-time, without any human intervention. According to Pantonium, this will allow public transit to reliably cover large, low-density areas more efficiently. 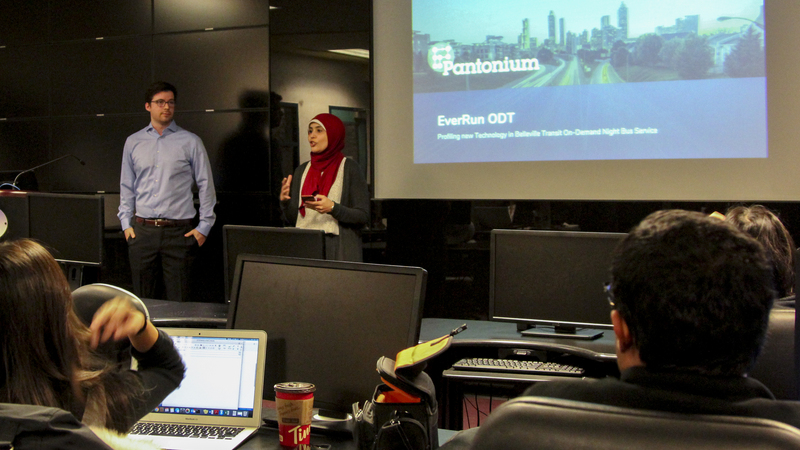 Pantonium would like share their insights on the development, deployment and potential of on-demand transit technology to improve the infrastructure of Canada’s transportation systems from our experience in Belleville and other projects. Luke Mellor is Pantonium’s Marketing Director, overseeing the development and implementation of the company’s global marketing and sales. He has presented Pantonium’s technology and projects at conferences and events, including OPTA 2017, the Toronto Synthetic Intelligence Forum and MaRS Shared Mobility Virtual Hub. He holds holds a Bachelor of Arts from Ryerson University. View video of Luke Mellor’s January 25 talk. 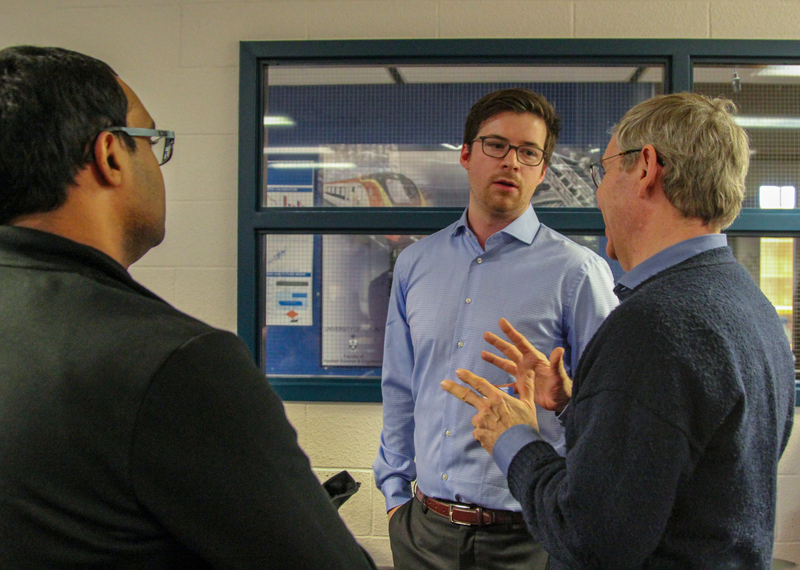 This seminar was presented by the University of Toronto Institute of Transportation Engineers (ITE) Student Chapter and iCity-CATTS Centre for Automated and Transformative Transportation Systems.